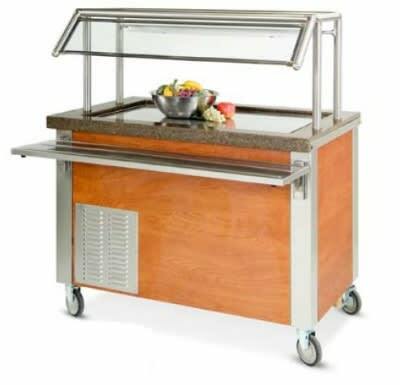 DineXpress™ Frost Top Counter, 77" L, self-contained refrigeration, (5) 12" x 20" pan size, 1" dp well with drain, stainless steel top, front & end panels, swivel casters (2 locking), 1/3 hp, (DFT/5). Counter and laminate panel options are available. Stainless steel panels are standard. Please contact customer service for more details.